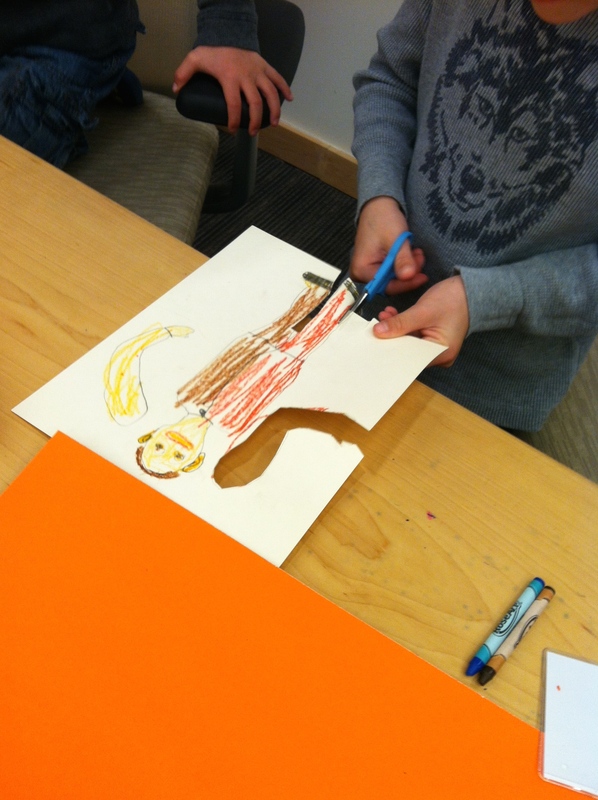 In the past month, we’ve had several different workshops in DC and Virginia, teaching students ages 4-16 to design, build and perform their own puppets. Here are some pictures of what they created. As always, if you are interested in learning more about our workshops or bringing us to your school, check out our Education page. The photo to the left was taken at the American Immigration Council’s Take Your Child to Work Day event. The puppets below were created in a workshop with the 2nd and 3rd grades at Tuckahoe Elementary School in Arlington, Virginia. This entry was posted in Puppet Building, Workshops and tagged American Immigration Council, Arlington Public Schools, arts education, building puppets, photos, recycled materials, student work, Take Your Child to Work Day, Tuckahoe Elementary School, Virginia, Washington DC, workshop by ccbooks. Bookmark the permalink.